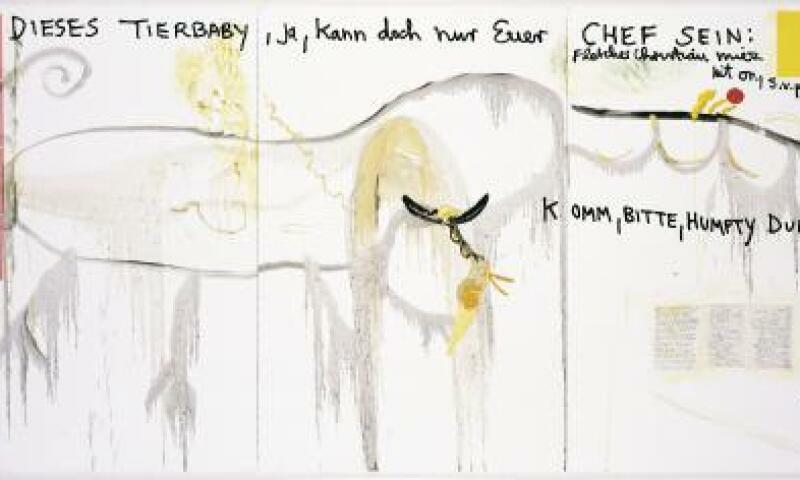 Jonathan Meese, Das Geheimwasser des William Bligh (The Secret Waters of William Bligh), 2007. In the Greek saga, the hero Odysseus survives dangerous adventures on his odyssey and completes mysterious tasks – returning home at the end perhaps as a different person. Like a contemporary Odysseus, in this exhibition, the artist Jonathan Meese (born 1970 in Tokyo and based in Berlin) sets off on an imaginary journey, making various stops along the way. In drawings, pictures and sculptures from over 20 years of artistic production, encounters with the most diverse, ambivalent protagonists and situations take place, which the artist approaches in his archaic role as symbolic redeemer and liberator. Visitors to the exhibition get to accompany the plucky, provocative artist on his voyage, but where will it end?